I for one am glad to see it and I applaud you. 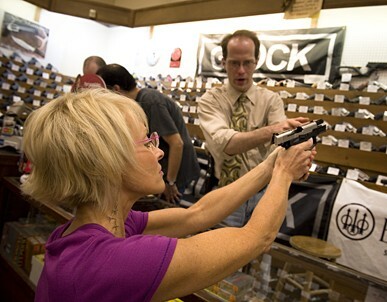 As more women become firearm owners and carriers, fewer women will be among those on the list of victims. Further, as women become recognized as a major portion of the gun owner population, gun ownership will become more acceptable among those who are put off by the idea of guns in our society. I think they are beginning to realize that they are simply a tool that is no different than a knife or hammer – both of which can be just as deadly when used improperly.